To say the job market has changed over the last couple of decades would be an understatement. The digital age has created a complete upheaval of the American economy that is only just beginning. But careers in technology, such as software development, remain in high demand. The best way to roll with these changes and stay on top is to accept the changing job market and adapt with it. Therefore, if you are wondering whether you should start learning coding at 40, the answer is, absolutely. Everyone has heard the stories of the young or middle-aged software developer who learned coding in their spare time and went on to make their own award-winning program or land a six-figure gig. America loves these types of rags-to-riches, bootstrap stories, which is why we see them so often featured in films and news highlights. But it is important to note that they are generally the exceptions, not the rules. To be successful in the computer development world is the same as any other industry; it requires a solid foundation and understanding of the materials backed by experience. Earning a formal degree in a coding-oriented program like software development is an excellent way to do so. A major critique some have against formal degree programs for coders is that because the digital world is changing so much, what might be learned in a degree program right now won't be relevant in the next four years. That could not be less true. Some of the most popular coding languages that are relevant for small businesses as well as top Fortune 500 companies are the very same that were introduced when the 90s and the tech scene was first getting started. If developers enrolling in programs in the 2000s had listened to such complaints, they never would be where they are now! Java. Java may be over twenty years old, but it continues to be used by millions of software developers and billions of devices worldwide. Every Android app made today, yesterday, and likely tomorrow is based on the Java programming language. Furthermore, 90% of Fortune 500 companies utilize Java as their server-side language when performing backend development. Swift. Prefer Apples to Androids? Then Swift is the programming language for you. Swift entered the world in 2014 as the programming language for iOS and macOS and, with the enduring popularity of Apple devices, has become one of the most relevant languages for computer and app developers. Any job that asks for applicants with "iOS" experience is asking for applicants with a solid familiarity with Swift. Python. Python is another enduring programming language that is growing in popularity and usage, not decreasing. Developed at the end of 1989, Python is an excellent general purpose programming language that is a great choice for newcomers to coding as it is so multi-purposeful. Coders will find a Python framework available for just about any use, from web applications to in-depth data analysis. It's considered by many to be the easiest programming langue to learn due to its more straightforward syntax. It is also highly popular both in commercial applications, like Pinterest and Instagram, as well as by big players like NASA and even Google thanks to its effectiveness in applications dealing with scientific computing, machine learning, and data mining. Are You Ready to Take That First Step Towards a Career Change? Are you interested in coding? 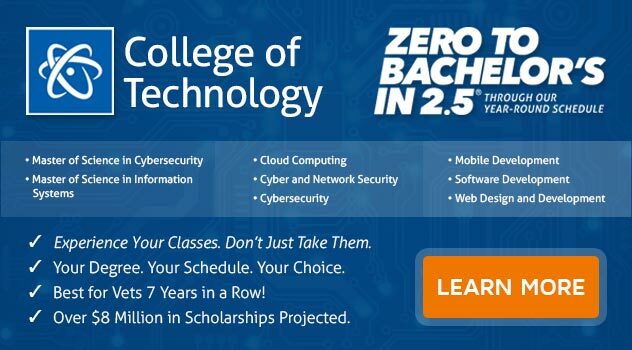 If you want to earn a Bachelor of Science Degree in Computer and Information Science with a Major in Software Development, ECPI University offers this program at an accelerated format. For more information about this exciting opportunity, connect with a helpful admissions officer today.